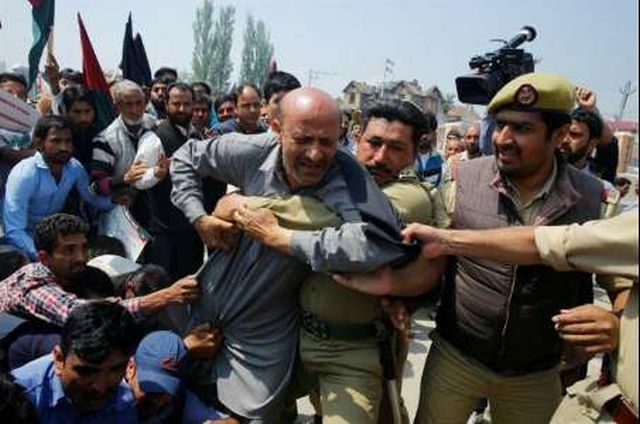 Srinagar : Independent Jammu and Kashmir MLA Engineer Rashid was detained by police on Thursday during a protest march here. Rashid started his march from Sher-e-Kashmir municipal park on Residency Road. He was detained along with some supporters before he could reach the Press Enclave area. The legislator said the protest was against what he alleged to be a pre-planned murder of a youth, Murfad Shah, who was shot dead last week by security guards at the Jammu residence of former Chief Minister Farooq Abdullah. The police had said that the youth had breached security and indulged in vandalism at Abdullah’s residence before being gunned down. No weapon was, however, recovered from the slain youth’s possession.